The upgrade to Composilex 3 in Series 8 interconnects improves tonal purity and image focus, while the increased number of strand groups has increased detail, soundstage separation, bass extension and dynamic expression. All audio cables act as filters that remove portions of the signal, but Wireworld interconnects are engineered to lose less than others, producing higher definition and greater musical enjoyment. The design employs thin flat conductors stacked in a parallel array that is precisely wound into a helix. This configuration optimizes the electromagnetic field between the conductors, effectively neutralizing the electromagnetic loss that filters the signal in other cables. 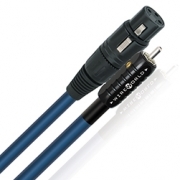 Oasis 8 is the least expensive cable that utilizes WireWorld’s superior patented Quad DNA Helix™ cable design and Silver Tube™ plugs to dramatically improve the definition and dynamics of popularly-priced AV systems. As impressive as they may look, gold-plated connectors are not a reliable indicator of quality in cables. Most gold-plated plugs are made of brass, which is plated with bright nickel and a thin layer of gold. Brass and nickel are rather poor conductors that introduce significant loss at the points of contact. Featuring tubular silver-clad OFC contacts and a silicone rubber tension band, which produce the lowest contact resistance available; these state-of-the-art connectors make dramatic improvements in sound and image quality. (U.S. Patent 5,413,503). 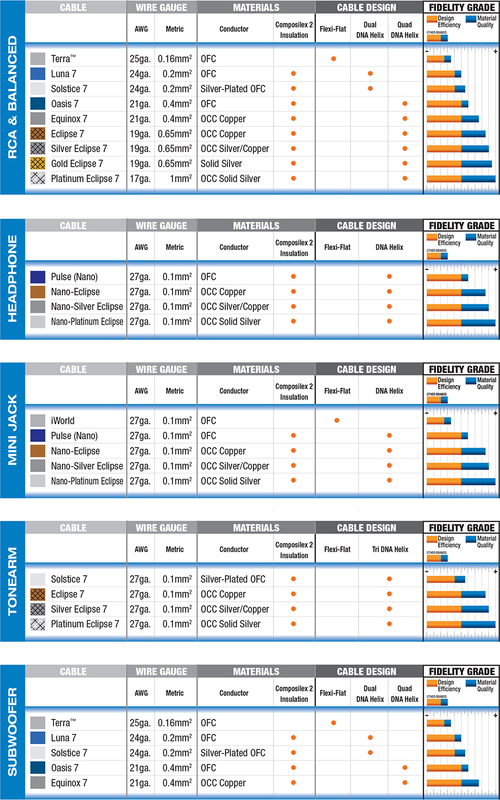 WireWorld XLR connectors also use nickel-free, silver-clad contacts for superior performance.